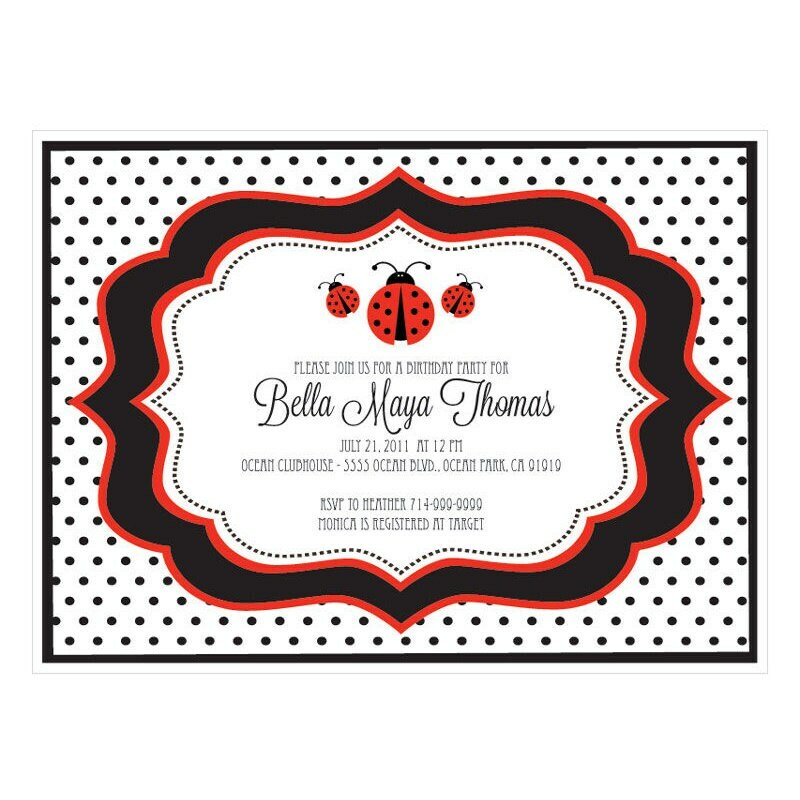 Invite you friends to comes celebrate your new bundle of joy with these Ladybug Invitations. Also perfect for kids birthday party invitations. Each invitation comes in hues of red, black and white. Customize your invitation with personalized text just for your baby shower. 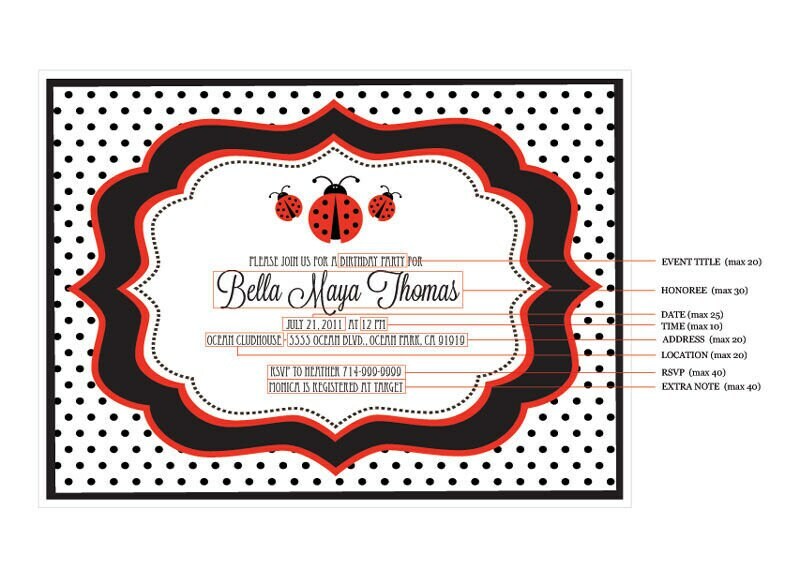 Above your personalized text is a sweet ladybug design. Invitations include plain white envelopes. Invitation Size: 4.6" x 6.25"
2. In the space provided or during checkout, please provide your invitation details (You can copy and paste the line titles below and simply add your info next to it). Please Refer to the sample image for details and character limits per line.